A new play about the troubles affecting UK millennials. Like a lot of people their age, twins Jacob and Sam went to Uni. They’re not sure why. It just seemed like the only thing to do at the time. Whilst Jacob decides to quit after the first year to ‘find himself’, only to end up trapped in a chain of 0-hour contracts, Sam sticks it out… only to graduate and find herself doing the same. But new hope arrives for Sam when she attends her first protest in London. Caught up in the whirlwind of Occupy and Momentum, could she have found a solution to all this mess? And could Jacob, intent on unravelling the mysteries of the universe, have accidentally stumbled upon the meaning of life itself? Or are they caught in a reality that’s completely set up against them? 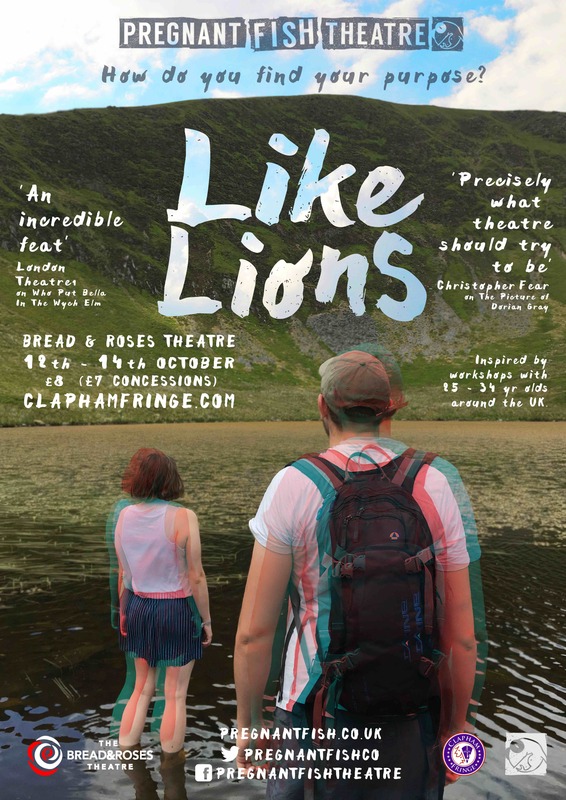 Like Lions is an intimate and authentic look at the complexities and crises surrounding the millennial generation, from rent prices to Brexit to Instagram. The piece has been developed from a series of workshops around the UK with 25-34-year-olds that gave participants the space to share their hopes, fears, and thoughts about the future of society.